If you’re like me, you want three things. One, to feed your family healthy and delicious meals. Two, to not spend all day slaving over a hot stove accomplishing number one. And three… self-cleaning kitchens. Well, I can’t help you with the third thing. But I CAN recommend my 3 favorite simple healthy cookbooks to help you with the first two! This first cookbook I got for free when I interviewed the author several years ago for my old podcast, NaturalMomsTalkRadio. It’s called Glorious One-Pot Meals: A Revolutionary New Quick and Healthy Approach to Dutch-Oven Cooking, by Elizabeth Yarnell. The book has an interesting backstory. Elizabeth has multiple sclerosis. 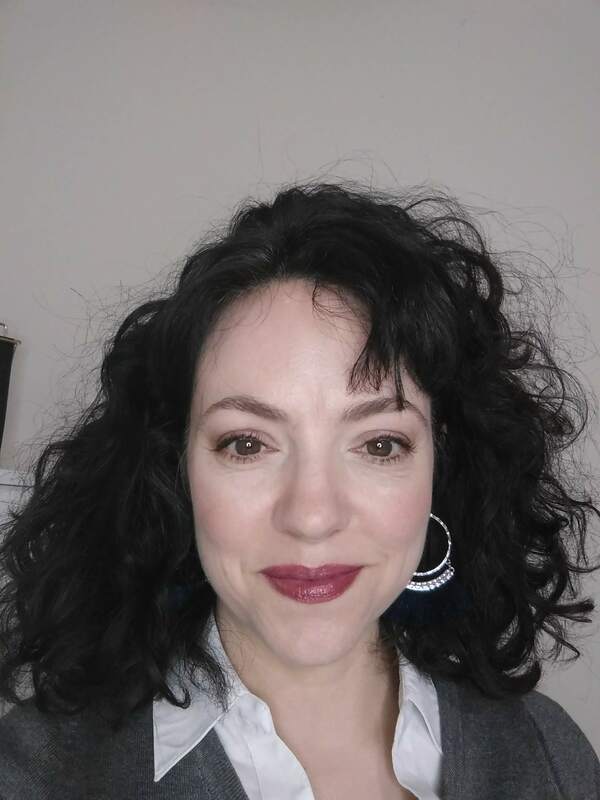 After her diagnosis, she realized that she needed a healthy, anti-inflammatory diet to help ease her condition and an easy, one-pot cooking method that would make meal prep and cleaning up after a lot easier. The GOPM method is patented. Yarnell developed her revolutionary “infusion-cooking” technique because she didn’t like how slow-cookers turn things to mush. GOPM retains the crisp-tender quality of vegetables, keeping their bright color, but also thoroughly cooks whole grains and meats. All at the same time. Everything, from protein to grain to vegetables, goes into ONE pot and is a complete meal. You don’t even have to cook a side dish or make a salad. It’s nutritious and easy. And only one dish to clean (and a knife, if you want to get technical)! Anyone who suffers from a chronic illness would benefit incredibly, but honestly? Any mom who wants to feed her family well without spending much time. Anyone who is tired or busy (homeschooling moms, work-at-home-moms, working outside the home moms, etc). You can get the entire meal in the pot in 20 minutes (even frozen meats can be used), and 45 minutes later it emerges, perfectly cooked, from the oven. And once you learn the stacking method explained in the book, you can apply it to your own recipes. So simple! *Glorious One-Pot Meals is especially useful to gluten and dairy-free families, as nearly all of the recipes avoid these allergens. I’ll never forget how this cookbook came into my life. It was shortly after the birth of my third baby. I was crying on the phone to my sister about how messy my house was, and how I didn’t know how I was going to be able to get dinner on the table ever again. I had reached kid critical mass! Enter The One-Armed Cook: Quick and Easy Recipes, Smart Meal Plans, and Savvy Advice for New (and Not-So-New) Moms. I don’t know how my big sis found out about this cookbook, but it rocked my socks for years! Without it, my family would have gone hungry or I might have lost my sanity. Literally every recipe in this book can be made… wait for it… with a baby on the hip. Meaning you can make it all without chopping anything. With one hand. And the recipes are amazing! That third baby is now 14, and I’m still cooking from this book! New moms! This is an awesome baby shower gift, and one that will actually get USED for years. I’ve already worn through two copies. The Blender Coconut Pie is not to be missed. (Yes kids, you throw everything in the blender, pour into a pan, and out comes a pie. No lie.) I still make the Simple Black Bean Soup, Lentil-Rice Casserole, and many other recipes from this cookbook regularly. What’s more, the recipes are very healthy and delicious. Even a bit fancy, something you wouldn’t mind taking to a party or showing off to your mother-in-law. But still easily put together while you wear baby in a sling. The One-Armed Cook includes breakfast/brunch, dinner, side dishes and desserts. And it even tells you how to entertain and throw parties with a new baby. So fun! It also has meal plans for the recipes – perfect for those sleep-deprived postpartum weeks when you’re too tired to think. Simple: The Easiest Cookbook in the World by Jean-Francois Mallet is quite simply gorgeous, and it lives up to its name. If there was such a thing as a minimalist cookbook, this would be it. I spotted this cookbook while browsing at Barnes and Noble one day and immediately began drooling over its recipes and large, beautiful photos. But I waited patiently until I had credit card reward points before buying it (from Amazon Prime, at a discount of course!). Every recipe has 6 ingredients or less. Gorgeous, huge pics. Simple instructions. Easy preparation methods. And tres French. (How can you go wrong with a cookbook written by a French chef?) Not only are the recipes foolproof, but it has some unusual combinations that will get your own creative juices flowing. The other day, inspired by Simple, I cooked pork chops with leftover canned cherries. It was amazing! If there was a cookbook for minimalist Francophiles, this would be it. It has a few fancy ingredients that aren’t standard American fare (endives, prosciutto, celeriac, lamb), so it’s for the more adventurous cook and palate. Anyone who appreciates the simple, elegant cooking of the French would love it. *Not for vegetarians or picky people. Carnivores with cultured tastes only. And there’s plenty of dairy in it, so not for the lactose intolerant. So there you have it. 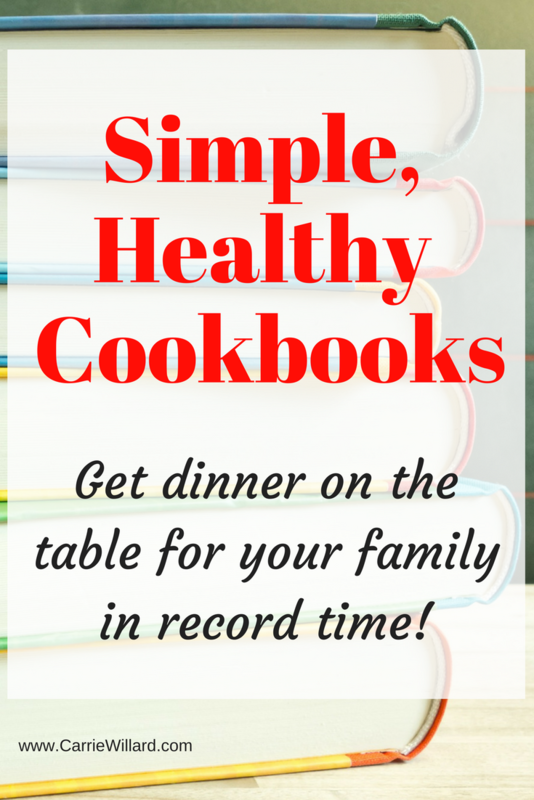 Three of my favorite simple healthy cookbooks that have made family dinner possible in my house for many years. Since cooking and eating at home is a major part of how I save money while feeding a large family, I’m grateful for them! What are your favorite simple healthy cookbooks? 5 ingredients, 10 minutes by Jules Clancy. Healthy and simple recipes with the same principles you mentioned. She does healthier “comfort food” like Fried brown rice and lentil risotto. thanks Elizabeth! I will check that out asap, I appreciate the recommendation! @Amber – the cast iron Dutch oven would work just fine! The author recommends the enameled one because it’s easier to use. I need to utilize cookbooks more. I always just cook a few of the same things over and over, but there’s no reason for that. That first cookbook sounds awesome for me! 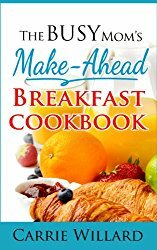 And I love that you have a breakfast cookbook! That’s awesome!